Siacoin Cryptocurrency 2018 Review! Recently, Siacoin (SC) has been making good progress in the cryptocurrency market. It has some key features that make it stand apart from the other cryptocurrencies( Bitcoin, Ethereum, Litecoin) and make it a good option for ICO tokens too. When it was launched, the Siacoin was promising a higher attraction of user’s interest. Even if the platform isn’t so profitable to use for trading cryptocurrencies, it is a great opportunity to keep your data safe. Sia is a project that provides a decentralized and secure cloud-based storage platform where data is stored on the blockchain. The Siacoin (SC) is a cryptocoin which has been designed for use on the Sia Platform. This concept first surfaced back in 2013, at HackMIT. There is a simple idea behind it that allows anyone to rent their storage space and get rewards in return for this use. 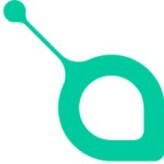 The cryptocurrency powering Sia transactions is called Siacoin (SC). It’s the only currency accepted on the Sia network, and it’s designed primarily for use there, but of course it can also be traded independently and even mined. Basically, a user who wants to store their data through Sia gets access to the market of Sia hosts, and they can choose a host or hosts based on bid price. This competitive marketplace ensures that users are getting the lowest available price. Then, the user’s files are encrypted and distributed to the user’s host or hosts of choice. Compared with a lot of other cryptocurrency projects, Sia’s biggest selling point might be that it’s not just a whitepaper. Its core functionality – distributed storage deals backed by blockchain File Contracts – is already publicly available. There are more than 900 hosts out there on Sia storing over 200 TB of user data.